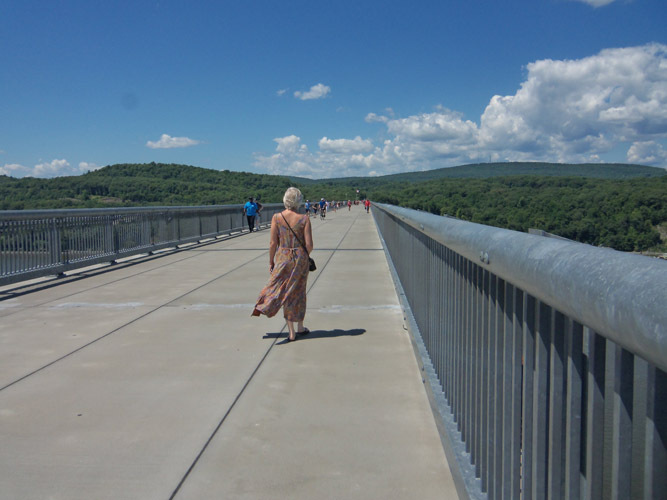 The Walkway Over the Hudson State Historic Park opened in 2009, providing a bridge for pedestrians, hikers, joggers, bicyclists, and people with disabilities. 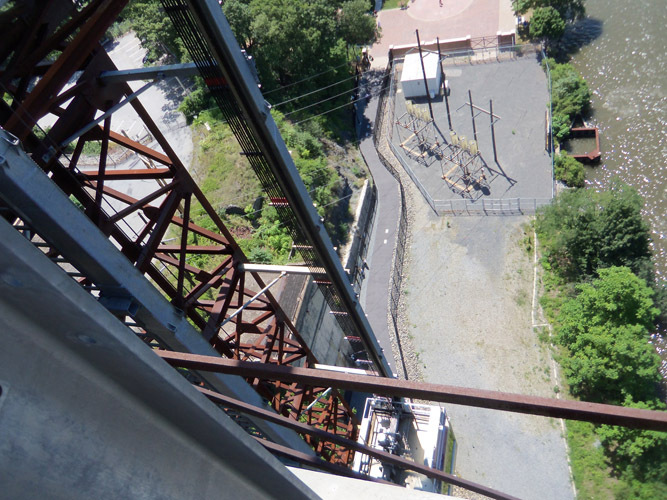 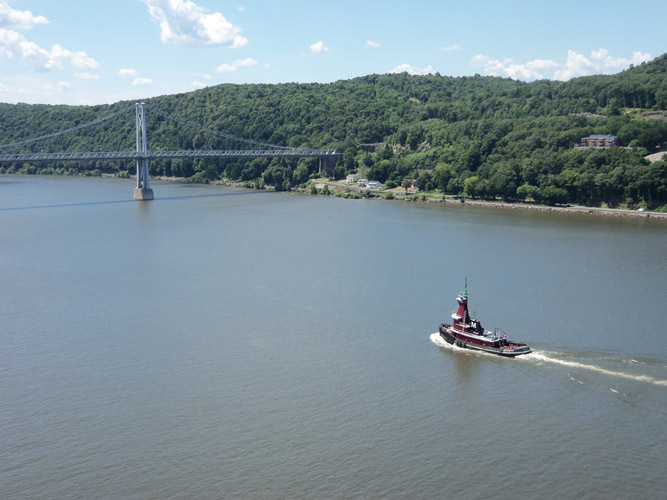 The former Poughkeepsie-Highland Railroad Bridge stands 212 feet above the river’s surface and is 6,768 feet (1.28 miles) long, making it the longest elevated pedestrian bridge in the world. 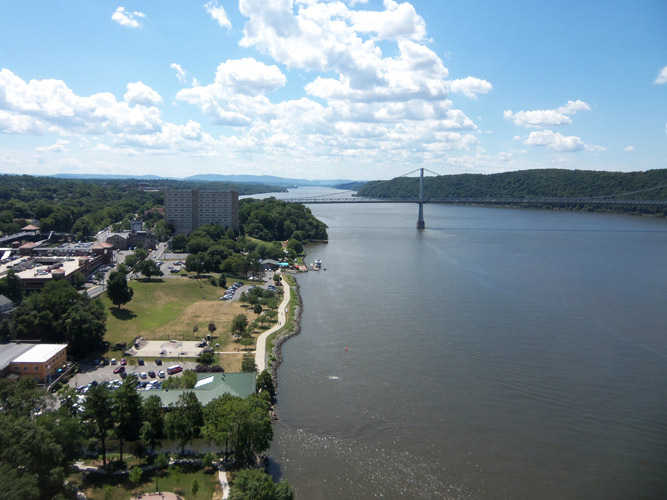 There are two entrances to the park, one 4 blocks north of the Metro North and Amtrak station in Poughkeepsie, with the entrance at 61 Parker Ave, and on the west side of the River at 87 Haviland Rd. 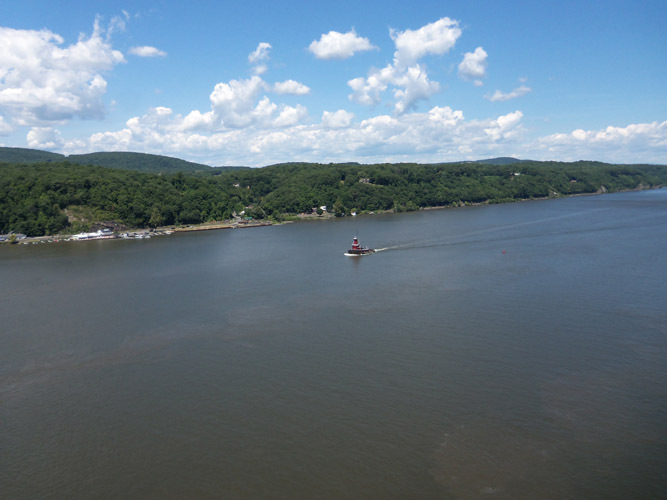 Highland, NY. 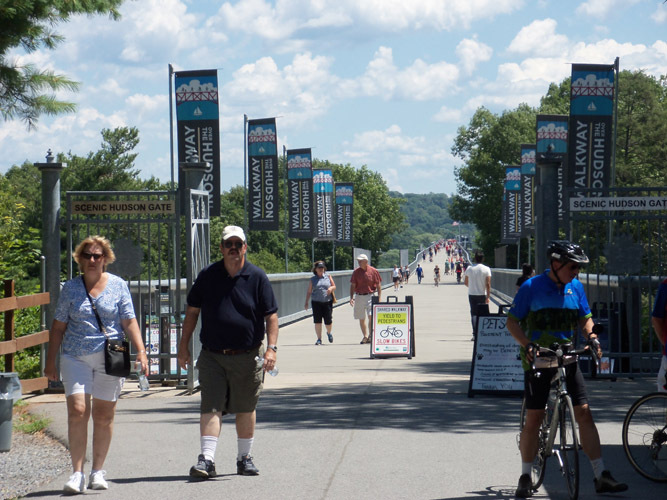 The Dutchess County Rail Trail continues from the Walkway on the east side of the Hudson River, and the Hudson Valley Rail Trail-continues from the west side of the Hudson River.The park closes as sunset. 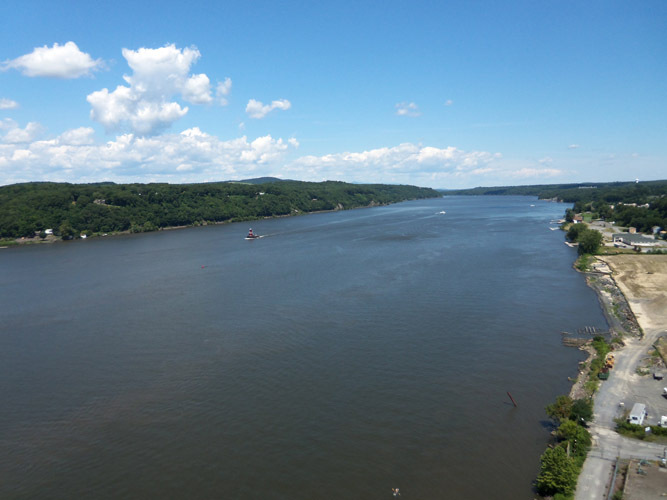 The view looking down river as we started out from the Poughkeepsie side. 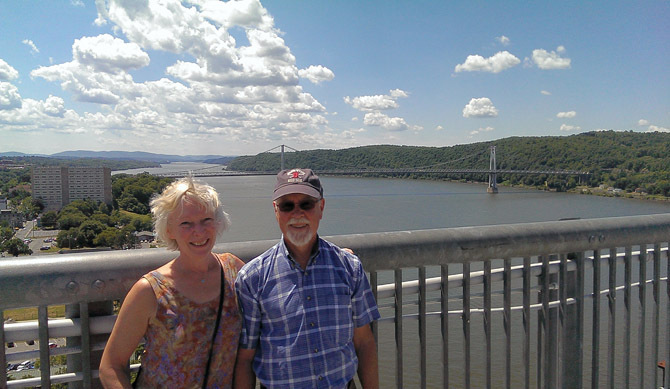 We reversed course at the western entrance to the Walkway Over the Hudson. 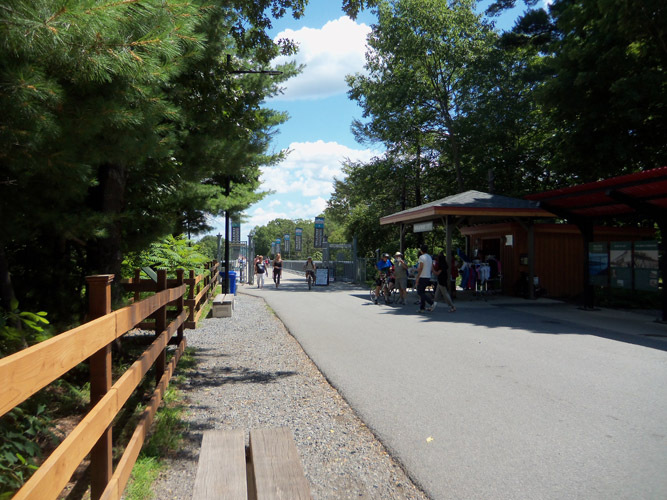 An elevator near the eastern entrance makes the Walkway Over the Hudson accessible to wheelchair users. 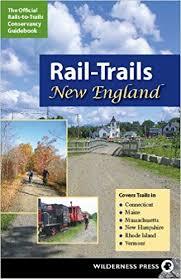 We also saw cyclists using the service. 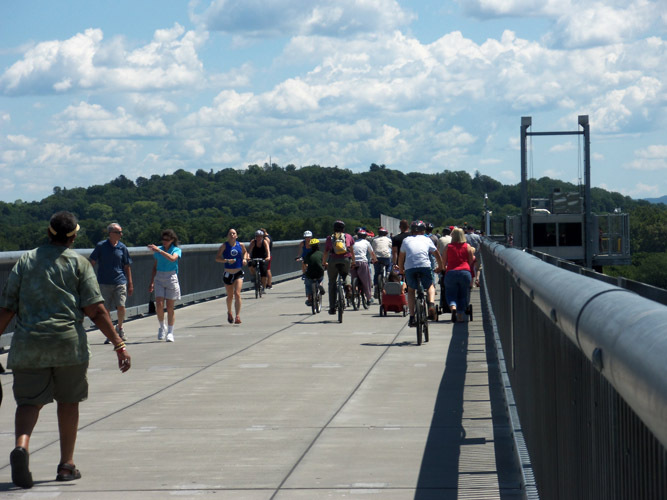 There were hundreds of people on the bridge, most walking, and some cycling.